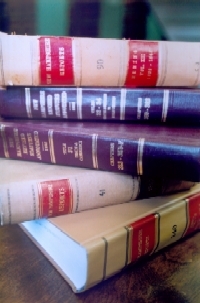 For many years we have produced a bench book for superior court judges—a comprehensive set of materials on civil and criminal law topics that they could carry from court to court. These judges are assigned to hold court in different counties and the idea was that they should have a portable set of legal reference materials. Unfortunately the most recent edition of the bench book for superior courts judges was published in 1999 and it is out of print. Rather than just go ahead and update the existing bench book, our courts colleagues first talked with judges about their needs. Jessie Smith and Michael Crowell have worked closely with judges, especially Ripley Rand and Allen Baddour, to review their trial notebooks and decide what the School should include in a new virtual bench guide. The result is The Survival Guide: Superior Court Judges’ Trial Notebook, an innovative online resource that includes some material prepared by judges and other material prepared by our colleagues (short statements on the law, forms, and form orders). It is designed for each judge to decide which materials to copy and print and place in his or her trial notebook—documents meant to be personalized (e.g., form orders) are offered in Word format and others are in PDF. The Guide is designed to be flexible so that new material can be added easily, and existing material can be updated quickly, downloaded, and placed in a judge’s trial notebook. Jessie sends an email alert to superior court judges whenever new or updated material is available. This is an excellent innovation. The feedback from new superior court judges has been very positive, and experienced judges value it as a resource too. It is responsive to their needs, and I love that it is designed and created in collaboration with our clients. Our experience with the Guide may cause us to reconsider how we produce other bench books—but I also think it may have implications for other publications. How do our clients actually use our publications and what does it tell us about how to produce them? Should we talk more with our clients about the goals and design of our publications? The Survival Guide presents legal topics in outline form because it is what the judges want and need—there may be electronic links to longer treatments of the topic—a bulletin, for example. In preparing teaching materials for superior court judges, our colleagues (and judges who teach in our programs) now are more likely to create something that can be used in The Survival Guide. This focus on the practical objectives of the judges is bound to make our very good teaching for judges even better. Thanks to Jessie Smith for her leadership and thanks to Michael Crowell for his good work. Kudos to all of the other courts faculty who also have contributed to The Survival Guide—Ann Anderson, Shea Denning, Jamie Markham, and Jeff Welty. Many thanks to Jessica O’Sullivan for her good work in posting and updating material on the website. We have talked about collaboration in our work, and this project is an excellent illustration.